U.S. SALES ONLY. CAIMAN CAN NOT BE SHIPPED OUTSIDE THE U.S.A. THIS IS A SPECIAL ORDER ITEM. 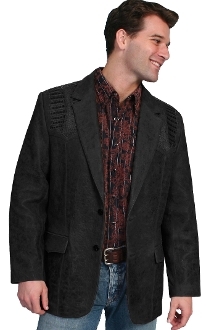 The jacket is in stock at Scully, however they do not add the Caiman until an order is placed. The Caiman is hand stitched by Scully in California. APROX. TIME FOR SHIPPING OUT IS 4-6 BUSINESS DAYS.